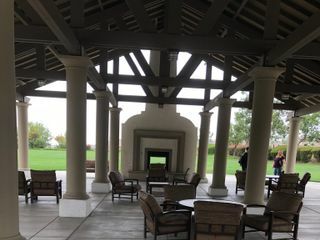 From our first phone call to view this venue to our final "I do's" Chapel in the Vines provided professional, personal and very friendly service. Our wedding was simple yet elegant and was exactly what I envisioned. Minister Marie was so helpful and accomodating. She and her husband made me feel like I was part of her family. She made herself available to me consistently and was upfront and transparent with the process and cost. She even helped us figure out the process for our marriage licence and mailed it in for us. If you are looking for a wedding on the modest side and want something great....look no further than Chapel in the Vines. You won't be disappointed. She helped make this the happiest day of my life!! 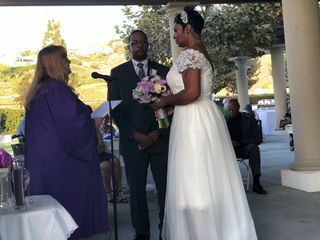 My husband and I wanted to have a small and personal wedding, I never thought we could find an officiant at a great price and wonderful venue for our ceremony. I finally found Chapel in the Vines and from the beginning in fell in love. Marie was amazing and so helpful throughout the hole process. I recommended her to a few friends and will continue to be eternally great full for an amazing wedding. Marie and Dale were amazing and I was very blessed that my mom found them in such a fast time. Marie was very patient because my husband and I both had very busy schedules. She was very attentive and provided a beautiful service. I'm glad I contacted Marie to be our wedding officiant. She was professional and just a nice person to be around. Everything went smoothly, she welcomed our questions and answered them....even the silly ones. Both my husband and I were very happy with how everything went. Everyone in attendance loved her. Pick her to officiate your wedding. You'll love her too. This is a groom's perspective: My now bride and I wanted a simple wedding - just us two, and our witness. Our goal was for our day to be as relaxed as possible but meaningful. 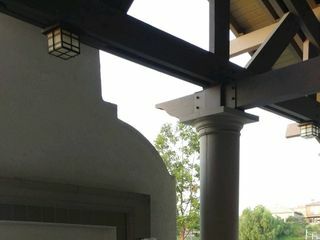 We were fortunate to contact Marie with Chapel in the Vines. She is a friendly and caring person. 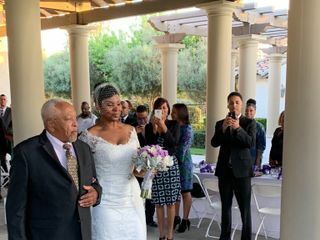 She was glad to perform our ceremony at a location that we arranged. Marie helped us clarify the ceremony details and vows via worksheets and email correspondence. We took advantage of a package she offered which included a photographer who was accustomed to intimate weddings. Everyone was on time and prepared as we entered into our ceremony. 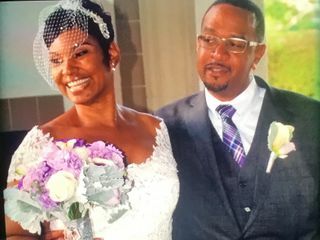 The ceremony included all the ingredients that we were hoping for - delivered with the sensitivity, tone, and dignity that suited this milestone in our relationship. The experience was exactly what we wanted. Marie presented us with a copy of our vows as a keepsake. I'm not a photo person, so I appreciated Marie and her photographer's gentle guidance in capturing the little moments and posed photos during our wedding. They will document our day for our families who couldn't attend, and also be wonderful touchstones to our special day in the future. I would not hesitate to recommend Marie and Chapel in the Vines to a family member, friend, or any couple seeking an officiant for their wedding. I could not have asked for a better ceremony. We had a very small wedding, just the two of us and one witness. 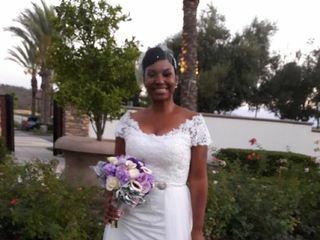 She made my day memorable, her delivery of the vows were special, she made it a day I will remember always very fondly. Her husband took pictures during the ceremony, and was not in any way intrusive. And he had great ideas for posed pictures before and after the ceremony. They were absolutely wondeful! 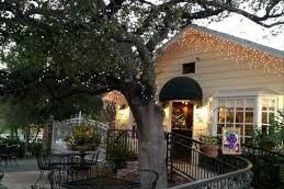 Marie Updegrove performed our ceremony on the beautiful grounds of Villa Di Calabro, a wine and olive tasting room. We married outside in the gazebo, which was a perfect and romantic setting. Marie was so helpful and wonderful thoughout the whole process. She made our day memorable and special. She is amazing!! 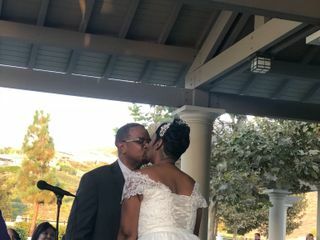 We had a perfect and beautiful ceremony. We are truly happy with our experience. We wanted something small and nice. Marie officiated a nice intimate ceremony and Dale captured our day beautifully. Thank you. Everything was great! I would recommend Chapel in the Vine to anyone who want a ceremony that is personal and flexible. Marie was a true pleasure to work with. She customized our ceremony to fit exactly what we were looking for on our wedding day. She even incorporated our two children into the ceremony, which made it so special. It was so easy to communicate with her either by email or by phone. We were able to take care of payment upfront over the phone and Marie was so personable I felt like I already knew her for years. Our wedding day was prefect and I am so thankful we found Chapel In The Vines! Marie and Dale were awesome!!! Working with Marie has made my son's wedding the most special moment for all of us ,price is very reasonable and the ceremony was extra special,photographer was friendly and flexible with what we wanted. Again thank you for making this special moment a great memory . great low stress way to get married! I have told all my friends I would not change a thing! Marie was a wonderful vendor to work with. She was extremely accommodating and helpful. The price is one no one can pass up! Dale, the photographer took wonderful pictures. The venue was perfect for our small, intimate wedding. The wedding package included the location, the Minister and the photographer. The location in Riverside is in the hills overlooking the Corona Valley and is perfect if you desire a backyard garden-type wedding. Dale Allen Photography provided great photos! They are also very flexible to themes and decor. Our experience was very positive and truly memorable. Marie was so kind and helpful in helping us get ready for our big day as well as the day of. We were so lucky to have found her to officiate our wedding. We highly recommend her! !